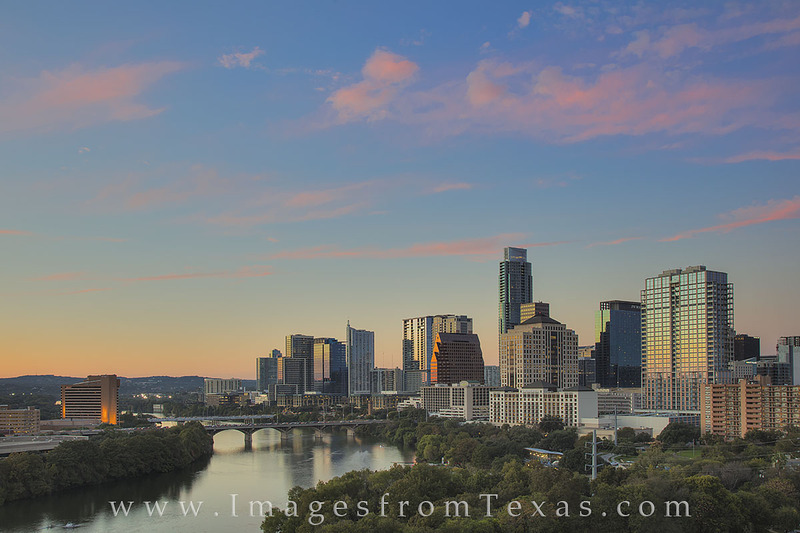 This bird’s eye view of downtown Austin shows both Lady Bird Lake and the skyline’s high rises on a calm Autumn evening. Congress and First Street Bridges that cross over this portion of the Colorado River show that rush hour is in progress. Looking at that traffic, I’m glad to have this view of Austin instead of sitting in gridlock far below! Photo © copyright by Rob Greebon.